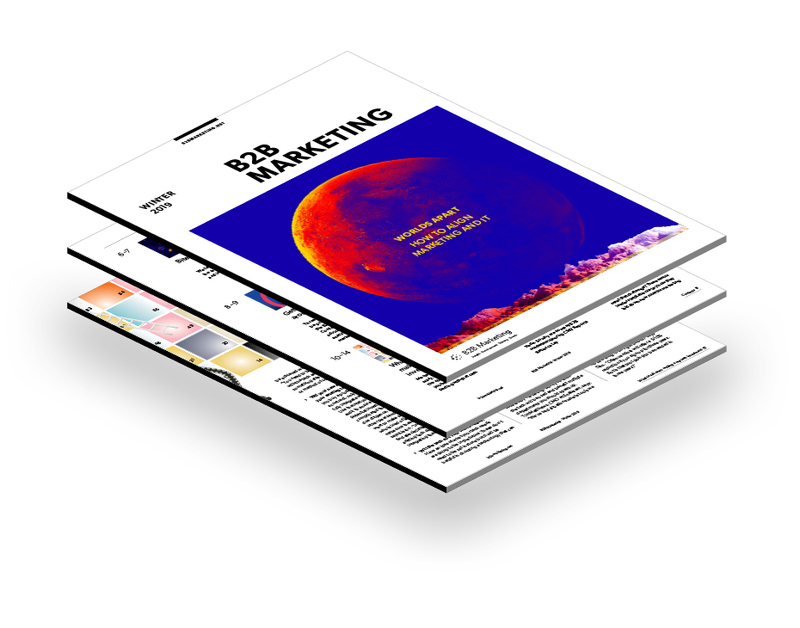 The Winter 2019 issue of B2B marketing focuses on martech, featuring advice on what to ask when making an investment, how to build a strong relationship with the IT department, as well as what should go into your tech stack. "Increasingly, marketers are making technology decisions that blur the lines between marketing and IT – including who really owns marketing technology. If rules of engagement around martech decisions and ownership are not in place, it can lead to friction and a perceived power struggle"